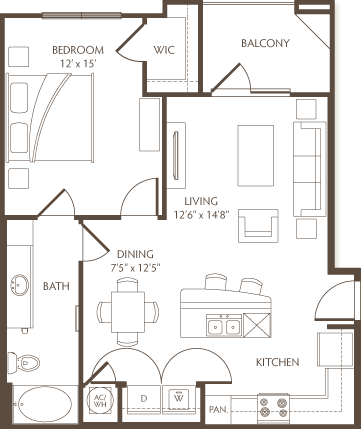 Our Clarksville apartments come in your choice of four floor plans – click through the options to find your perfect layout, and then contact us today to find out about availability! Square feet are approximate. Floor plans may vary by location.